Make Upland your home! Upland originally was an irrigation colony established by George and William Chaffey. When founded, it was a small rural town based on agriculture, specifically citrus fruits and grapes. Present-day Upland maintains many of the same features, most specifically Euclid Avenue (the north-south, tree-lined street that runs through town) as well as many of the older, adobe and ranch-style houses. Other features of Upland include Upland Town Center, an open air mall in the downtown area at the intersection of 9th St. and 2nd Ave, and a clear view of Mount Baldy. The city also was home to the Pipeline skate park, which opened in 1977 and closed in 1988. It reopened on October 22, 1993..
Communities include Heartland, Los Olivos, Villa Montelena, North Upland among others. The City of Upland has recently initiated a comprehensive update to the General Plan to guide future growth and development within the community. This two-year effort will result in an updated General Plan, Airport Land Use Plan, Zoning Code, and supporting environmental documentation. 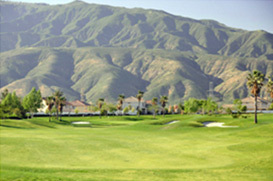 We can help you buy a new home, house, townhouse, or condo in Upland. If you are buying or selling a home, CG The Group can guide you through the entire process so that you can own Upland real estate. Our free home buying tools give you the information you need to find Upland homes for sale. If you are interested in Upland foreclosures, Upland bank-owned properties, and Upland real-estate owned properties, you can find them through CG The Group. Our Upland real estate agents and Upland realtors provide professional service, and can help you with finding home loans and mortgage information. CG The Group is the best source for Upland home statistics, Upland demographics. The Upland real estate market is competitive, so let our local Upland real estate specialists help you out. Don’t forget to ask for the HOT List of Upland homes! Contact us today! You can own your Upland dream home sooner than you think! Bookmark www.IEHomeSearch.com right now and take advantage of CG The Group’s real estate tools. Search for Upland homes for sale by getting complete access to the MLS in Upland and surrounding areas. We have every house for sale in the MLS, including bank owned properties, REO homes, short sales, HUD homes, pre-foreclosure and probate properties, home auctions, condos and townhomes. Our goal is to provide you with the best and most complete information possible so you can find and purchase your new Upland home with ease. Our website is updated daily with new home listings, pre-listings and local real estate news so make sure to check back on a regular basis to see what is going on in the Inland Empire real estate market.